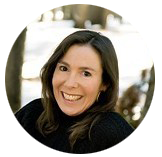 Candace Kearns Read is one of the premier script consultants of the world, having trained at New York University’s Dramatic Writing Program and worked in Hollywood for such agency giants as ICM and William Morris. She served as a personal script consultant to Marlon Brando, Anthony Hopkins, Michelle Pfeiffer, Richard Gere and Denzel Washington, among many, many others. She has also been a script consultant for cutting edge production companies such as John Wells Productions, Castle Rock and Village Roadshow Pictures. The Island of Dr. Moreau, Primal Fear ++ many others! If you’d like to work with Candace on your screenwriting project, send an email to candacekearnsread@gmail.com. 1) Basic Coverage includes a log line, box score, one page summary and two pages of comments for $600.00. 2) Development Coverage includes all of the above, and in addition, detailed page notes on the script giving examples and suggestions as to how to implement her comments for $800.00. 3) Full Consultation includes all of the above and in addition, two hours of follow up phone calls to help the writer further along in their revision process for $1,000.00. 4) Subsequent Drafts can be read and analyzed for 40% discount on above package prices. 5) Ongoing coaching is available for a fee of $100.00 an hour.